Fully adjustable up to 29"
Catheter Holder by Medline. 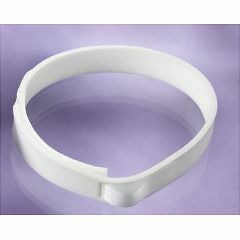 Catheter Securement Devices: hook-and-loop fastener(s) closures provide secure placement and a comfortable fit. Packaged clean. Foam catheter strap holds catheter securely in place. Foam thigh strap holds catheter securely in place 29" x 1-1/2" fits leg with circumference up to 29".